Contact the state labor department if your employer refuses to give you a state-mandated wage statement. A wage and earnings statement should not be confused with a W-2 form. The former is a breakdown of your wages or earnings for the pay period, and the latter is your annual wage and tax statement. Most states require that employers give their employees a wage statement each time they are paid; however, there are some exceptions. If you do not receive a wage statement, check to see if you are entitled to one. If you receive one, knowing how to read it helps you understand if you were accurately paid. Consult the state labor department to see whether you should get a wage statement, if you are not receiving one. According to PrimePay, eight states do not require that employers give their employees a wage and earnings statement: Florida, Arkansas, Mississippi, Louisiana, Virginia, Nebraska, Tennessee and South Dakota. In Virginia, an employer must give an employee a wage statement only if she asks for one. Review the wage statement to ensure it includes state-mandated data. State law varies but required data may include gross wages, pay rate and work hours or salary, pay period start and end dates, paycheck deductions such as taxes and voluntary deductions, and net pay. Your employer may include additional information, such as your tax filing status and number of allowances, pretax deductions, after-tax deductions, employer-paid benefits, and year-to-date amounts for wages and deductions. Verify that your wage statement is correct. Subtract your pretax deductions or nontaxable wages from your gross wages to arrive at your taxable wages. Pretax deductions include Internal Revenue Service-qualified retirement contributions, health and life insurance, and flexible spending accounts. Nontaxable wages include IRS-approved business expense reimbursements. If you have no pretax deductions or nontaxable wages, all of your gross earnings are taxable. Subtract taxes and other applicable mandatory deductions from your taxable wages. Then deduct after-tax voluntary deductions such as health insurance and retirement contributions that are not paid with pretax money. The remainder of your pay is your net pay. Reconcile your last wage and earnings statement for the year with your annual W-2 to ensure accuracy. If you do not have pretax deductions or nontaxable wages, the year-to-date data on your wage statement should match your W-2. The W-2 shows your taxable wages; since pretax deductions and nontaxable wages are excluded from specific taxes, they do not show up on your W-2. Balance your wage statement and W-2 by adding any pretax deductions and nontaxable wages to your taxable wages on the W-2. The state may set minimum guidelines for wage statement distribution. Your employer may be required to give you access to a wage statement that would consist of electronic statements or access to printed wage statements. 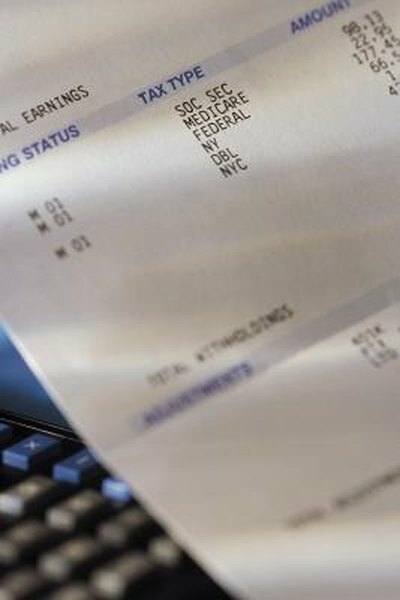 In some states, employees who receive electronic wage statements can opt out of receiving them in that format and return to receiving paper ones.